Toast slices of your favorite bread. Rub or chop the tomato and add salt, pepper and white vinegar. Place the tomato on the toasted bread. 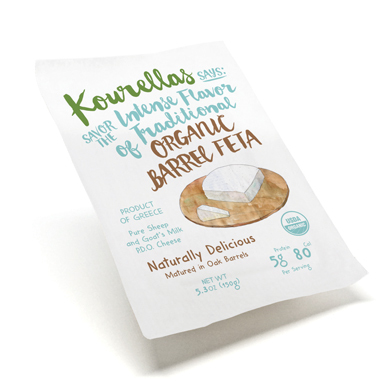 Cut Kourellas Barrel Feta in cubes and add a good drizzle of extra virgin olive oil. 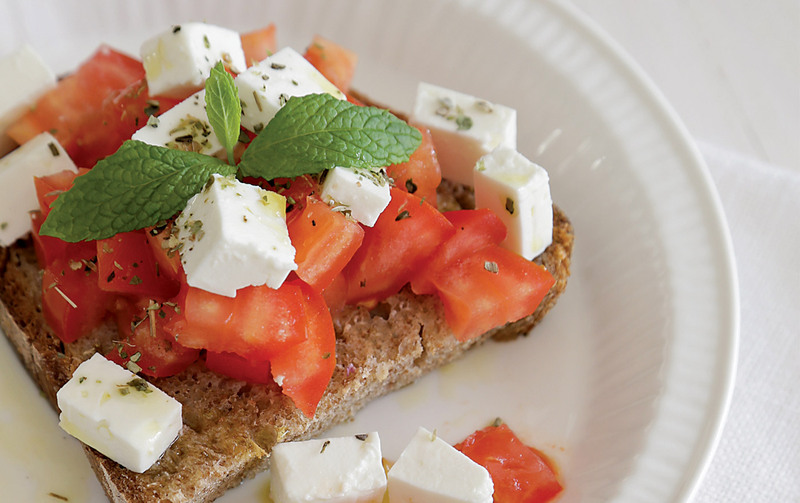 Sprinkle your healthy snack with fresh oregano.